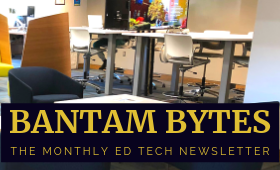 Home / Moodle / Common Questions / How do I backup my Moodle courses? 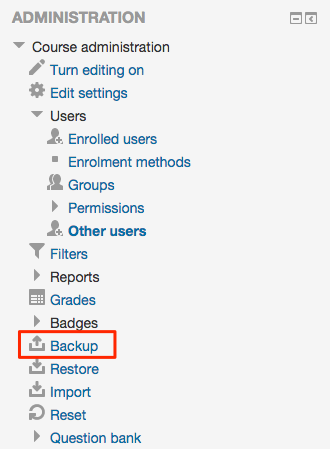 To backup or archive your Moodle course, go to the course you wish to backup. Under the Course Administration block, select “Backup” as shown on the left. With check boxes, select the initial areas of the course that you wish to save, then click “Next” in the bottom right corner. Now choose the specific activities and resources that you want to backup, and click “Next” in the bottom right. A confirmation screen showing a summary of all the selected components will then be displayed. Click on “Perform backup” in the bottom right to complete the process. A message will appear that the backup was successfully created. Click “Continue” to view a listing of your private backup area, with the Moodle backup files designated with a ‘.mbz’ extension. To download a course archive file, click on “Download” and save the file to your computer.